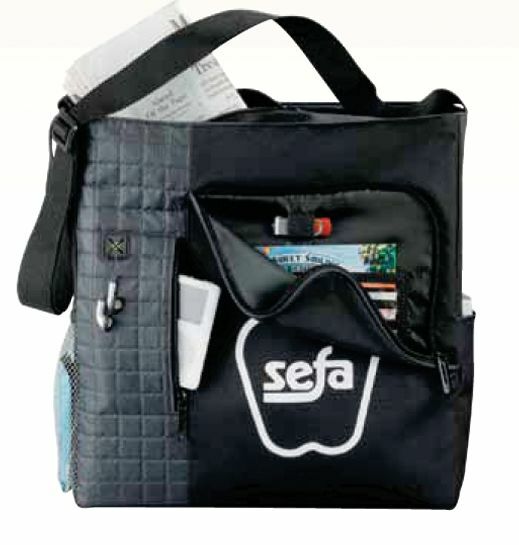 Main zippered spacious compartment. 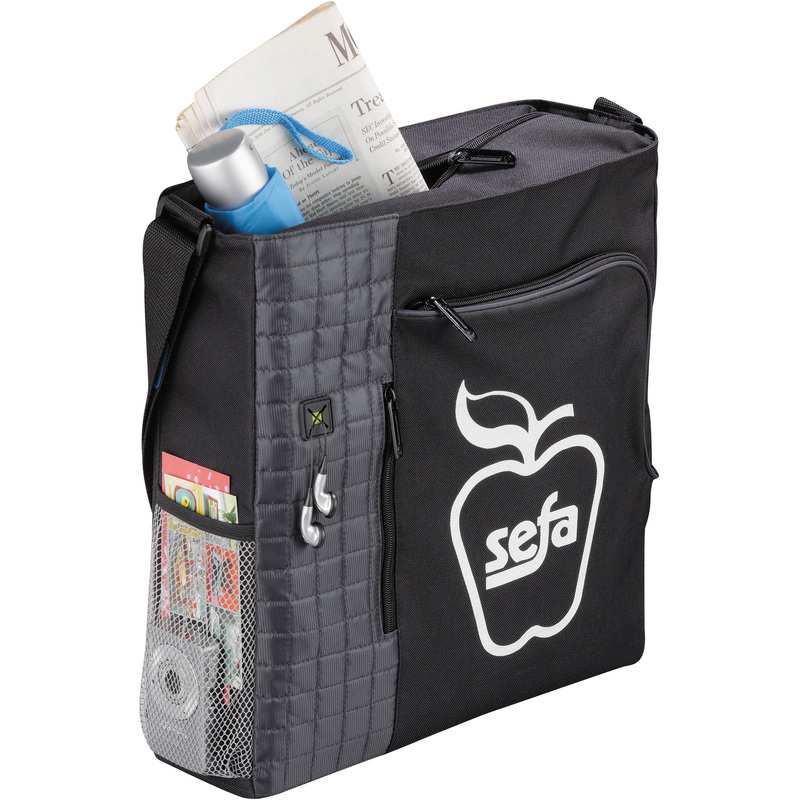 Front zippered pocket with full interior organization. Vertical media pocket with earbud port access. 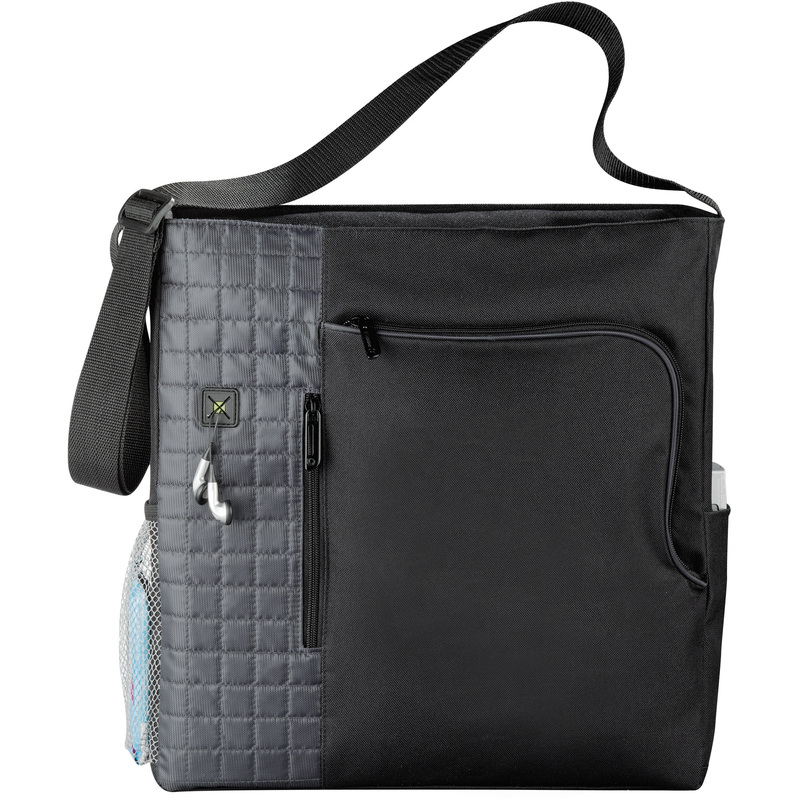 Side mesh and accessory pockets. Adjustable shoulder strap.